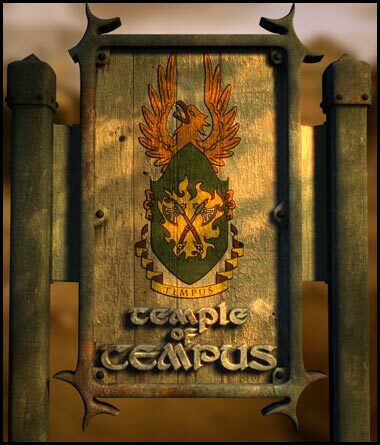 After being all but wiped out defending Phlan during the 1358 Melvaunt Conflict, the Temple Of Tempus rose again from the ashes to establish itself within the City. Only a small cell of the original clergy remained after the invasion, led by 'War-Bringer' Herik Van Restel, who took over from the previous leader Lucias Fernoy. The Temple continues its work in the City, promoting the dogma of the faith to all those who care to listen and building itself up to near the force it once was. The leading family of their faithful amongst the nobles is that of House Urslingen with Lord Waldemar and his seven sons. 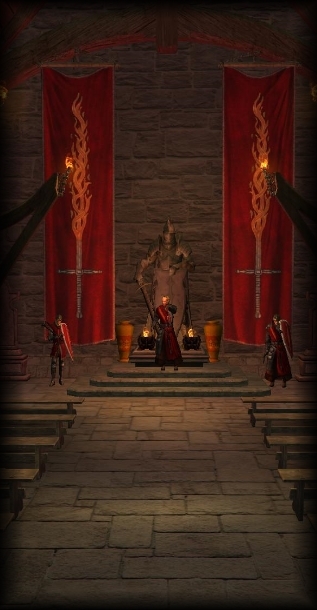 Standing at a little over 6ft tall, Herik commands the Temple of Tempus proudly, leading his men to follow the faith with an iron-fisted approach. When it comes to work with the Temple and the faith as a whole, he holds no punches, believing the teachings instilled unto him hold weight in any situation. He is as close to fanatical as you could get and although not a 'violent' man he has been known to hold a grudge, and is known for doing all he can to promote the power of the faith to the blatant blasphemer.